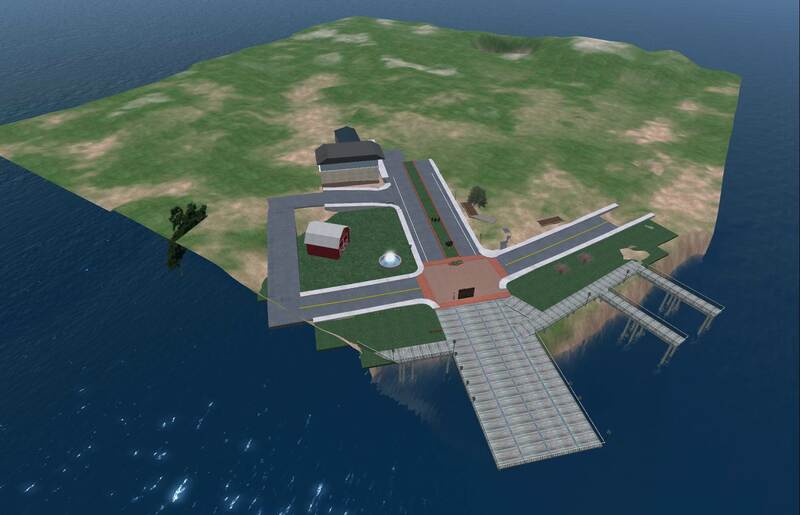 We inherited a Second Life island from a previous Tufts University urban planning project where students worked to create and test various city plans. Since the current landowners had completed their project, they were fine with us taking apart anything on the island and refashioning it as we wished. They generously shared their administrative rights and privileges with us and, with our newly bestowed super powers and nothing but empty road ahead, we dug in. Aerial view of Somerset island. So the first order of business was to come into Second Life as their administrator avatar and take apart the streets, houses, roads, and landscaping. We created our own, new administrative avatar: Dr. Care. She would be the keeper of any materials, textures, equipment or scripts that we used to build out the new space. That way, when our new project concludes, we can turn the avatar over to the folks at Tufts and they will have full access to anything they might need. Next up, we did some touring around to figure out what kind of space to develop. What look and feel would best suit the needs of these learners? Since Liz and I have done a lot of healthcare education work together in Second Life, we already knew that we’d prefer an outdoor setting. Fewer buildings mean fewer doorways, stairways, and a lot less location-confusion and tricky navigation for new avatars. Liz is a big fan of the designer Alex Bader. After visiting a few places in Second Life that feature his designs, I could see why. He has a wonderful eye and produces lovely foresty glens, river walk ways, magical looking bridges, and realistic looking beaches (with waves). On his web site you can see the range of textures, buildings, and landscapes he creates. His work has a tasteful, ethereal quality to it that just seems to signal you are in a special place. We thought it would be perfect for this group of medical students – restful, welcoming, and open. 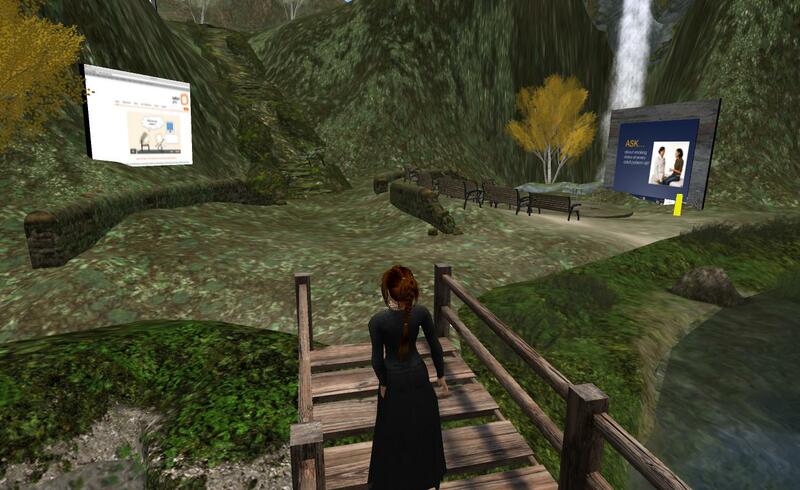 Dr. Care purchased the River Bank Building set and Liz set to work on the terraforming. For those of you who’s not yet experimented with terraforming in a virtual environment – it’s great fun. Raising and lowering mountains, carving out rivers, smoothing over grasslands….it gives you a tremendous sense of power. 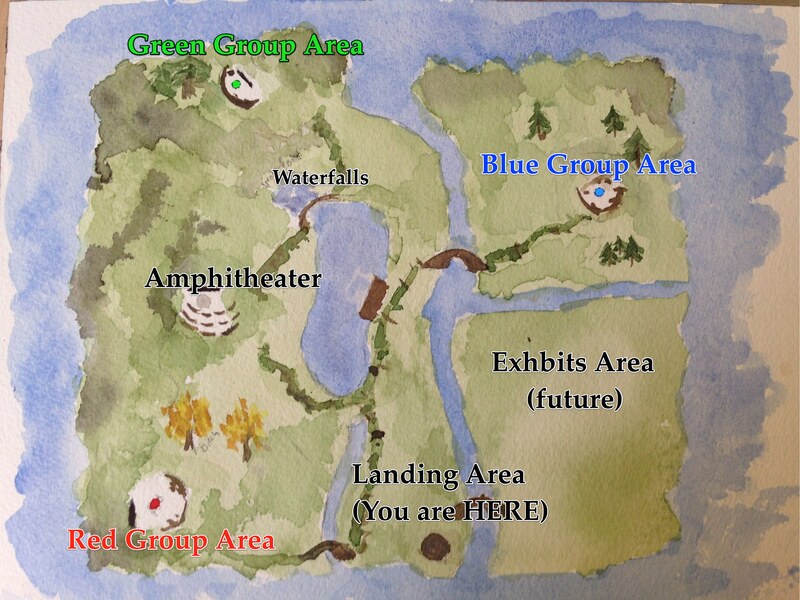 the amphitheater (in the center of the island), the three small group areas (red, green and blue) and an exhibits area for the future. We also carved out a gently sloping landing area, where people will teleport in, that affords a peekaboo view of the amphitheater up ahead. We plopped a welcoming gazebo in that spot. Chimera Cosmos and Spiral Theas in the gazebo. While most of our participants will most likely teleport from venue to venue on the island, we also wanted to build paths between locations. Liz laid down the lovely Bader River Walk paths seen below. A tricky proposition to get the leveling right, positioning boulders and mossy banks in order for it to look realistic. In the distance, you can see a waterfall, which marks the location of the main amphitheater. Waterfalls add a lovely visual element as well as a gentle and soothing background sound. Also note the trees in these photos – we went with birch, spruce, and pines. They seemed to fit with the general feeling of the place. Easy to sit on wooden benches for the amphitheater. We installed a Pres-o-matic screen (made to look a bit more rustic with a newly created wooden frame) and web viewer, along with a slight stage area for the speakers and stools to perch on. 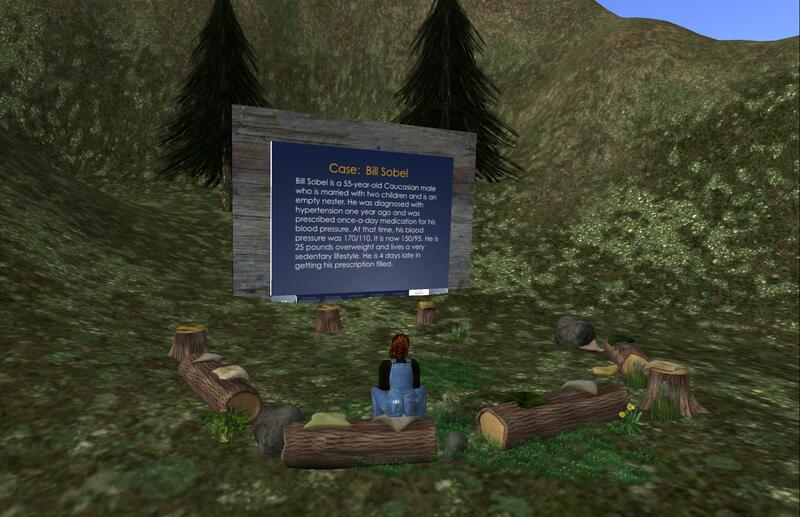 The small group areas are outfitted with a campfire circle (logs with sit poses) that Liz had in her inventory and a display screen. Comfortable and simple. Around this time, Liz was hankering for a proper beach – and look what she nimbly created on the west side of the island. It seemed a shame to see the beautiful waterways on our island with no way to travel on them, so in went a playful canoe. Boats rez on demand from a sign at the dock and, once seated, you have a number of passenger sitting pose options (fishing, reading, or dangling your hand in the water) and of course, you have your oars, if you are the rower. Rowboating our way around the island. We managed to traverse all of our new rivers as well as circumnavigate the island without incident. So, at last, we are ready to open the island to the students. Since this is a private island, visitors must be given access by the island administrator. We’re looking forward to working with the residents to see their use their new space and what accommodations and modifications to make over time as they make it their own. Aerial view of the newly renovated island. 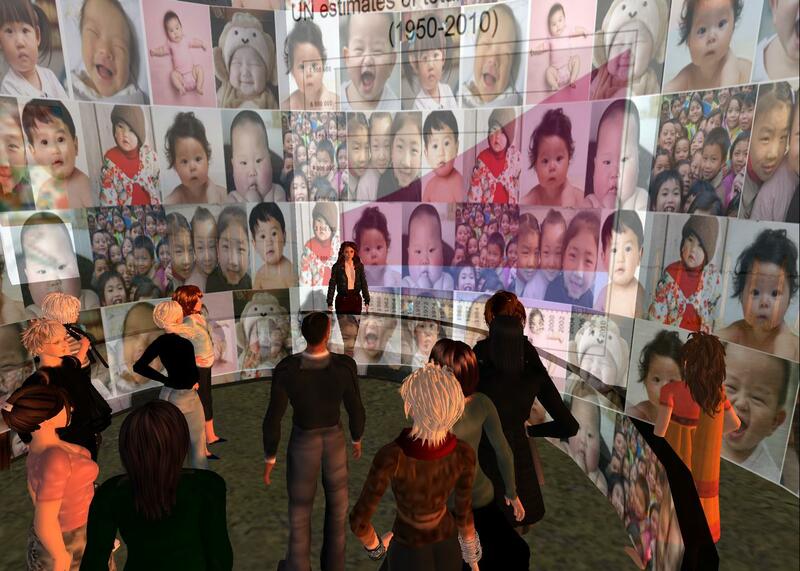 We’ve just wrapped up our NIH-funded experiment, using virtual worlds for health behavior change and patient education. The Women in Control study, out of Boston University Medical Center, was a year-long research program to test a virtual world versus real world-delivered diabetes healthcare intervention. The program’s subjects were Boston area Black women, between the ages of 40 and 60, who suffer from out of control type 2 diabetes (T2DM). The Co-Principal Investigators, John Wiecha, MD, MPH and Milagros C. Rosal, PhD, designed an intriguing study with a talented team. The eight-week health behavior program was an adaptation of a CDC program called The Power to Prevent. One hundred women in the greater Boston area participated. 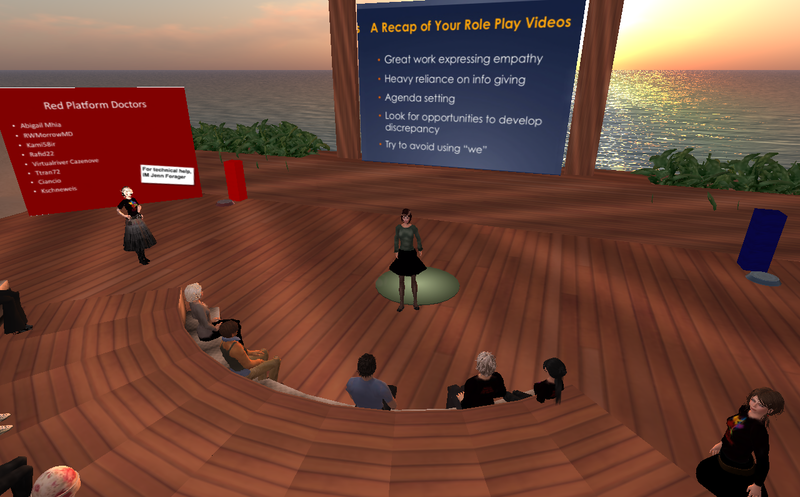 Subjects were randomly assigned to one of two groups – those who engaged in weekly 90-120 minute sessions in the virtual world of Second Life and those who did so in face-to-face meetings at Boston Medical Center. Our research questions: How feasible is the use of a virtual world for this purpose? And will subjects in the virtual world program demonstrate similar impact at study-end on health behaviors as subjects in the real world, as measured by patient activity levels; dietary patterns; adherence to diabetes medications; and improvements in metabolic and anthropometric indicators (hemoglobin a1c values, body mass index, and blood pressure)? We are still churning the data and analyzing our results, so stay tuned for future posts and publications, but we do have this 4-minute video (beautifully compiled by Ariella Furman, Framed in 3D) that gives you a feel for the study and the impact on the subjects. You can also read past blog posts on the study here and here. 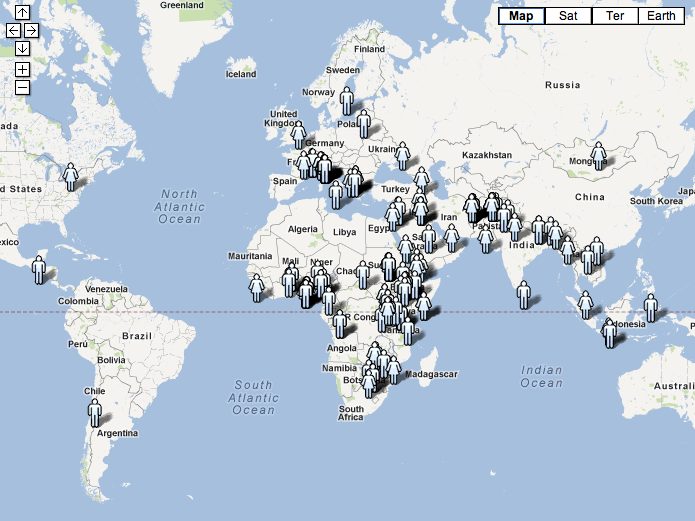 Map of GFMER course participants. In their quest to innovate and offer the best possible learning solutions, Dr. Mario Meraldi, from WHO and Dr. Karim Abawa and Dr. Aldo Campana, from GFMER recently partnered with Dr. John Wiecha, from Boston University Medical School to offer one such course in an online 3D virtual world. 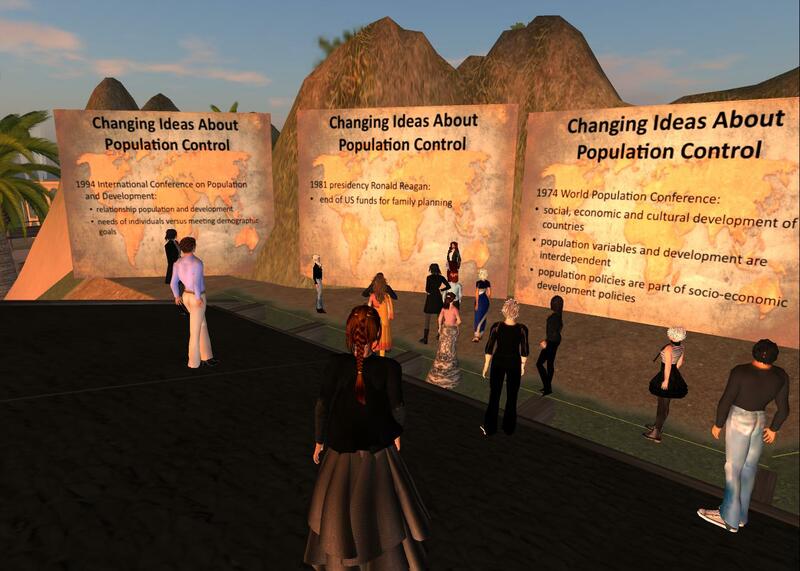 Participants from Ethiopia, Italy, Switzerland, France, Pakistan, Nigeria, India, Kenya, Sudan, Afghanistan, and the U.S. came together as avatars for a learning event on Population Dynamics: Past Policies and Future Challenges. Those with spotty internet connections joined the event through a synchronous broadcast delivered via Livestream. The learning space, showing the ramp which bends around a mountain. Dr. Schoonheim gathered the learners at each stop and talked through visuals or an experience designed to illustrate her particular point. In the following picture set, you first see a graph depicting world population growth estimates between 1950 and 2010, followed by a visualization of thousands of babies’ faces on a rotating cylinder to underscore her point. A visualization effect for world population growth. Stacked, rotating photo cubes provided a good presenter perch. Each stop was marked by a large visual (photograph, book cover, map, or graph). The graphics were all created by designer and Photoshop expert, Kate Motter. Additional visuals were displayed on slowly rotating cubes, stacked at the stop. In a playful touch, Dr. Schoonheim sat on the stacked cubes, to indicate where the learners’ attention should focus, as she gave her remarks. World maps reinforced the location of each case study. 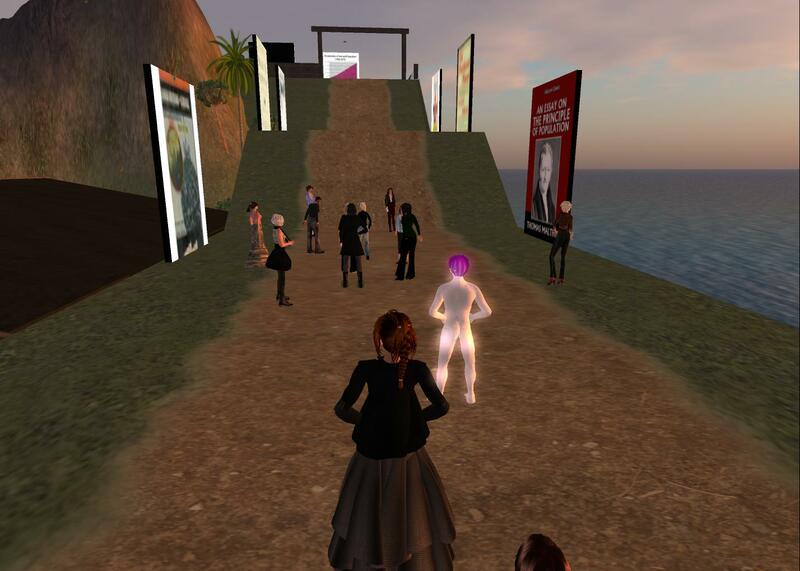 Dr. Schoonheim infused her comments with locational language (for example: “to your left”, “in the next gallery”, and “follow me up the ramp to the world map”) to help direct the avatars. At the halfway point, we offered a short break with virtual snacks served on a platform, overlooking a stunning vista (complete with waterfall). The learning ramp, bent around to deposit the participants back to the starting point, where they assembled in an open-air seating arrangement for a question-and-answer session. The chat was lively with questions coming in from the Livestream audience, as well as the in-world learners. Snack break, with a view. 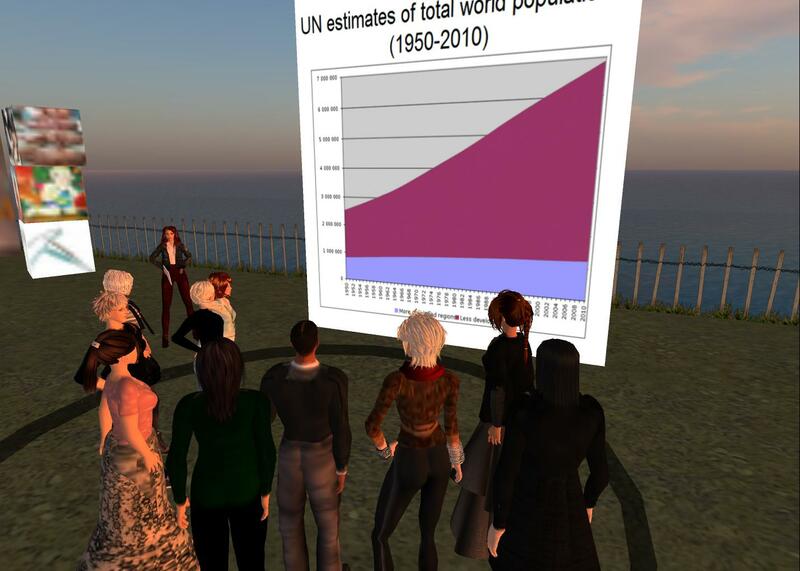 With 19 avatars in Second Life and 40 viewers in the Livestream audience (many of whom watched in small groups, clustered around one computer), the event reached a significant audience. In addition to managing the broadcast, Ariella Furman recorded the session so that others could later, asynchronously, review the session. 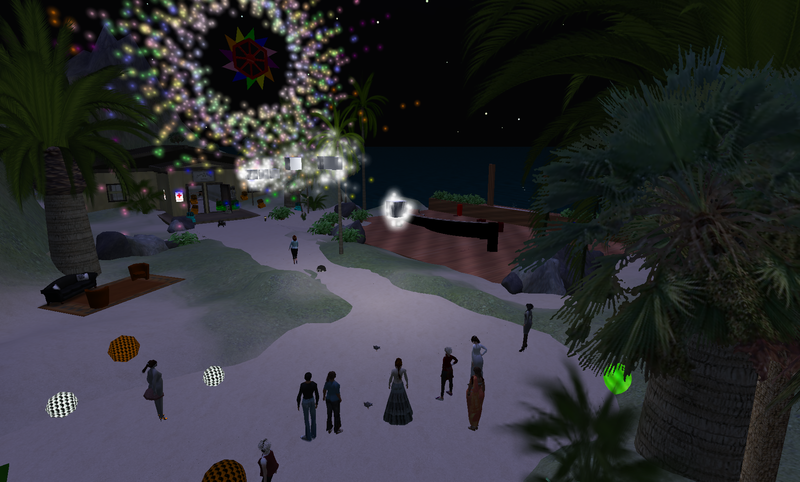 – Time between stops, while feeling like natural transitions to the avatars in Second Life, felt like dead air time to the Livestream audience. In the future, we should design to fill those gaps, and keep our broadcast audience in mind, as well as the avatars. – Highly visual elements, like the rotating photo cylinder, take a few minutes to rez for most viewers therefore sufficient time must be accounted for in order to achieve the desired effect. – Rehearsal time was mandatory. Our crew conducted three rehearsals – the first was a run through of the content with discussion amongst the team at each point. The second was a technical rehearsal to test the video, livestream, and simulated effects. The third was a dress rehearsal, conducted in real-time (without interruption), just as the live event would be. With each rehearsal, the transitions smoothed and the problems lessened. – The facilitator’s comfort in the virtual world was an essential ingredient. Though new to online virtual worlds, Dr. Schoonheim quickly took to the medium. 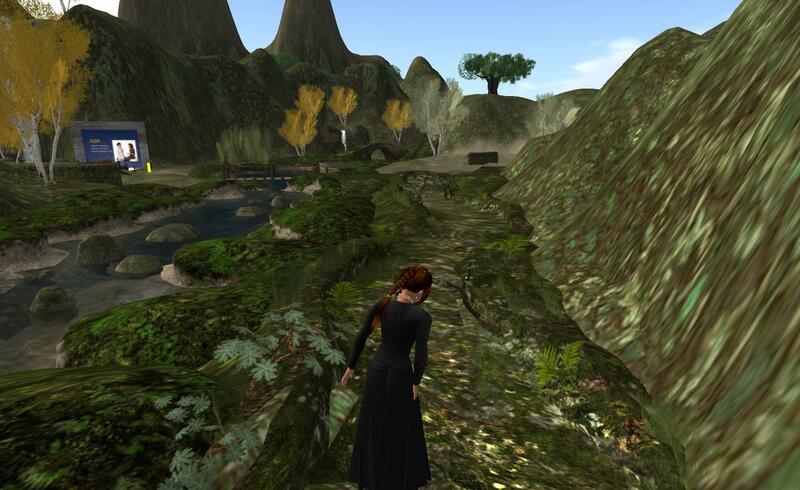 She invested many preparation hours in Second Life, getting used to the navigation and the “feel” of being in an avatar. The avatar’s look was important to her. Liz Dorland helped her with hair, skin and clothes to match her real world appearance. We also gave her a speaker’s animation effect (pacing and gesturing), and added a notepad into her hand. – It’s difficult to balance the positive impact of interactivity (fielding questions throughout the session) with the importance of keeping on track and sticking to the alloted time. Participants posed questions during the session which the producers acknowledged and queued up for the final question and answer session (given how impossible it is for the speaker to give their talk and monitor a flowing chat window simultaneously). Marloes led an engaging discussion session in the last 10 minutes of the event by addressing those saved questions. In hindsight it might have worked well to have a second content expert, a sort of teaching assistant, to type answers to questions as they came up in local chat during the session. If the audience feels their questions are attended to, they will engage further. All in all, the event went smoothly. Here are additional photographs and here is an Economist article, on the topic of population dynamics and fertility rates that Marloes recommends for further information. Be sure to check back in a few weeks, when I will post Here is a montage video of the event, currently being created by Ariella Furman. 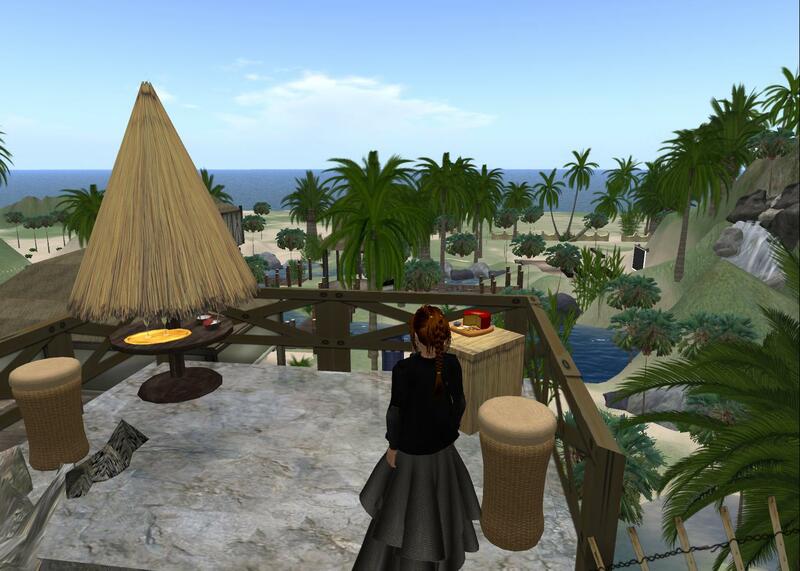 Over the last three years I’ve planned, designed, and orchestrated a dozen learning events in the virtual world of Second Life. I’ve been fortunate enough to work with extremely experienced and talented programmers, producers, content experts, scripters, and machinima artists from whom I have learned volumes about planning and staging successful learning events. As I reflect on these experiences, I’ve drawn up a list of the top eleven (ten seemed so predictable…) most important lessons I’ve learned (as you might imagine, this list has a well-matched, ancestral double called, “the most egregious mistakes I have made”). 1. Train for a just-enough (and no more). 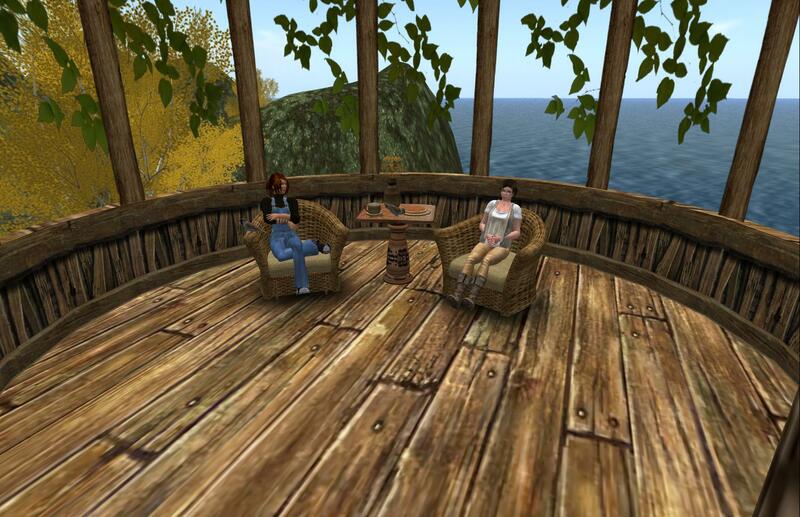 As with most virtual worlds, Second Life is chock-a-block full of intriguing possibilities. You can fly, build, photograph, gesture, control the time of day! In addition to all that, the interface is rich/complex and there is always more than one-way to accomplish any task. It’s tempting, when introducing someone to a virtual world, to show them everything – or to show them just oonnnne more really cool skill as it might be the tipping point to infuse them with the enthusiasm you have for the possibilities. However, I have finally learned to resist that temptation. On their own, learners will perform a calculation – if the preparation for the learning event outstrips its value to them, they will deem it unsuccessful. So it is in everyone’s best interest to keep the skills training to the barest minimum. Not only that, most people can’t absorb tons of information in one sitting; I know that I didn’t – why should I expect that others will? Our pre-event training regimes include only those skills the learners will need in order to participate in the event and no more. 2. Establish the learning goals upfront and use them as a filter. In the early planning stages, work with your content experts and the program sponsor to establish a short and well-defined list of learning goals. What is it that you want your learners to exit the program knowing? That list will serve the team well in many ways. It will drive decisions about how to spend money (will that fun simulation help you meet the learning goals? ), clarify how to allocate time on the agenda, and serve as a filter when the inevitable “mission creep” begins. 3. Make sure your back up plan has a back up plan. The old saying really is true, if it can go wrong, it will. I have seen so many “unexpected” problems crop up in every event I’ve been a part of – sound problems, connectivity hassles, access issues, electrical problems, region shut-downs, you name it. It seems obvious, but the very best way to avoid these inevitable glitches ruining your event is to anticipate them and have a plan in place to address each one. For example, it’s good to have phone numbers and/or skype IDs for all learner participants (if they have sound problems, you can always skype them in). 4. The power of two facilitators. Our learning events always include a content expert who has worked with us to develop the session’s content and then, typically, serve the lecturer/facilitator role. We now recommend two facilitators. Hopefully you can line up colleagues, who are used to working together, but it can work equally well with experts who you bring together for the cause. Why two? It’s helpful for the learner to hear two perspectives, two voices and it improves the event’s flow to hand-off one to the other. Very importantly, while one is speaking/leading, the other can monitor the local chat, provide feedback, and address content questions that arise. If the instructional design calls for small group work, then you instantly have two small group leaders (voila!). They also serve as back-ups for each other (if one is having sound problems, the other can pinch hit). 5. Measure twice, cut once. That age-old seamstress mantra totally applies here. There is just no substitute for rehearsals where you can go through your program to work out all the kinks. Run your facilitators, producers, and other program staff through at least one full rehearsal, preferably two. If the calendar doesn’t permit time for two, full rehearsals, then opt for a “blocking” rehearsal. That is, rehearse all the transitions, without the intervening content (when people come on, go off, all the movements and transitions). 6. Answer the question, “why are we doing this in a virtual world?” before it gets asked. 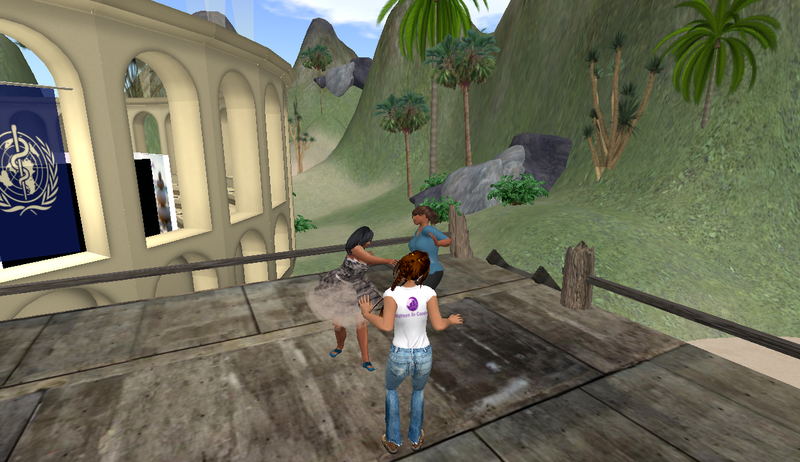 No doubt about it, conducting learning events in virtual worlds (any virtual world) is a lot of work – for the sponsor, the producers, and for the learners. So it only makes sense to use virtual world technology if you are making use of its unique affordances. That is, if you are doing things that can only be done in a virtual world. If you bring your learners into a beautiful virtual environment and then talk at them with a PowerPoint deck for an hour, everyone will leave feeling cheated. Instead, make it work for you. Devise a simulation, do some role plays, leverage some whimsy, do some collaborative building, defy the laws of physics – make it clear why you have all gone to the trouble to be there. 7. Experienced technical support producers are essential. In addition to your upfront investment in learner training, participants will need technical support on the day of the event. Count on it. The presence of experienced, calm, and professional technical support (we call them “producers”) is a must. Did I say “calm”? Let me say it again. Calm. My preferred ratio is one producer for every eight new learners. Make sure you have a private back-chat channel open (IM, group chat, or Skype) for the producers to strategize, share, and hand-off among themselves. Consider asking the learners to come 15-20 minutes early in order to troubleshoot any pesky technical issues before the event gets underway (not all will be able to, but those who do will be taken care of, freeing your producers to focus on the just-on-time or late arrivals). Have your producers wear a “Ask Me for Tech Help” label on their avatar. 8. Consider venue design carefully. After playing with a number of event location design options, I’ve gravitated to the simplest possible. Our events typically have outdoor seating (no doorways to navigate, no walls to bump into, and no ceilings to hinder the view) with very large and simple visuals (to avoid view problems). I tend toward natural looking scenes (a few trees, open sky, and a blue-water view) with very little visual clutter. But, of course, you also want the design to reflect and support the content of your event. Design your seating with automatic sit (upon clicking) and encourage all participants to be seated as soon as they arrive (which helps to calm things down). Landscape simplicity also helps to keep the prim count low to reduce the processing load. 9. Document everything as you go. I am continually amazed by how quickly I forget useful things. Who attended? What was the plan? How much did we rehearse? How long did it take? What happened in local chat? Keep a record of it all, including a blog post or two (like this one!) to sum up your major take-home lessons. You’ll be glad you did when the planning for the next event begins. 10. Don’t forget to assess. It is important to find a way to build evaluation into your learning plan. Often, we get so caught up in the work of producing the event, we forget to gather feedback from the learners when it’s over. Even if it’s just a short questionnaire, provided as a link, at the end of the session, find a way for your learners to tell you honestly what worked (and didn’t work) for them. You might also consider gathering similar feedback from the facilitators and producers. They often catch glitches that you might miss. 11. Find a way to make it fun. One of the things we all love about virtual worlds is that touch of fantasy about them. Even though it may be important for your event to project a serious and professional tone, your learners are sure to enjoy at least one touch of whimsy somewhere in the program (we typically do this on a break or at the end). It could be something as simple as some virtual food and drink, served up to your guests. Maybe an automatic dance floor for everyone to trip the light fantastic? Fireworks are always fun. A simple t-shirt emblazoned with your company or program logo, given to each avatar at the end of the session can be a surprising hit. Chimera Cosmos puts on a fireworks display for our group session. As writers we know that third person perspective is a form of storytelling in which the narrator relates all the action in the form of another person, making use of the pronouns “he” and “she” (as in, “She boarded the ship bound for Venice.”). This produces a very different effect from telling the story using a first person voice (“I will tell you the story of my trip to Venice.”). Writers often feel more comfortable storytelling from the first person point of view, but that third person perspective actually gives the writer more headroom, more freedom to spin the yarn in unusual ways. I’ve been thinking more about the third-person perspective, as it relates to virtual worlds. The photo you see above is the typical viewer perspective in virtual worlds, like Open Sim, Second Life, Jibe, Kitely, Wonderland, etc. It’s as if you are floating just behind your avatar, looking over his or her shoulder. Seeing what your avatar sees in front of them, but including your avatar in the frame of reference, as a constant reminder of their presence. You are not them, as you are in a “first person” perspective virtual experience (like first-person shooter games – Call of Duty, Halo, etc). This third person perspective makes it clear that there is another – an avatar, an alternate you. A recent blog post by Christopher Hutchison (Khosian Fisher in SL) got me thinking more about this. In his post, Hutchison (who is a computer science lecturer in the UK) talks about the notion of imaginary friends. That intriguing and mysterious element of childhood, when we manufacture imaginary friends through which we play out the dramas of our young minds. Psychologists have long pointed to this behavior as normative and healthy – a way for children to work out their fears, anxieties, as well as their joys. He references the work of Marjorie Taylor, professor at University of Oregon and author of the book, Imaginary Companions and the Children Who Create Them. Taylor’s book explains that these imaginary friends allow children to explore relationships, anticipate the consequences of behavior, and role-play various emotional encounters in life. Children who have imaginary friends (and it’s more common than not) tend to be less shy and more able to see things from anothers’ perspective. So it’s not a huge leap (and Chris makes it beautifully) to think of these avatars we create in virtual worlds as adult versions of these “imaginary friends”. When we interact with others in a virtual setting, we are offered the anonymity and comfort of working out conversations, navigating relationships, and grappling with new ideas. As if we are rehearsing all of that for real life. The space may well be virtual but the rehearsal is very real, and the lessons learned from it apply directly. Spiral: Hi, Flora! Good to see you. Flora: Hey there. How are you? Spiral: Fine, thanks. How long have you been here? Flora: Since 3:00, but I had lots to catch up on, so that’s ok. The italic phrases are always playful. A sort of thought-bubble – a wink and a nudge. A comment that, in this case, Flora is making, but letting you in on the secret. And this habit has always carried the nuance, for me, of the avatar’s puppeteer coming through and showing themselves, reminding us of the third person perspective. I love this cultural artifact of virtual worlds. It’s worthwhile to remember the origins of the word “avatar”. It derives from the Sanskrit word, “avatara”, meaning “descent”, as in a deity descending from heaven to Earth. In English the word has come to mean an incarnation, a representation, a manifestation. 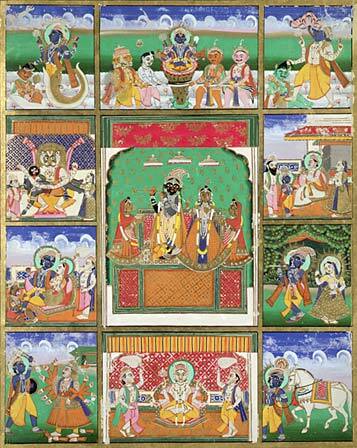 The term is often associated with Vishnu and the varying list of avatars in Hindu scripture. It seems to be less about incarnation of a deity (in the Christian sense) and more about manifestations of the divine in human life and the natural world. It’s interesting to ponder the many ways that these interactions our avatars have (with us, as their puppeteers) manifest themselves in our regular lives…how are they influencing us? I can draw a clear line of sight between this observation and the experience we’ve had working with various learners in the virtual world. Take, for instance, working with diabetes patients in the Women in Control project (Co-PIs John Wiehca and Milagros Rosal). Women in Control (WIC) is an NIH-funded study to measure health behavior changes between two groups – those who participate in a health behaviors intervention in face-to-face sessions conducted in the real world, and those who engage in the same intervention in the virtual world. I’ve blogged about this work in earlier posts here and here. As we’ve worked with the patients in this study, I’ve taken particular note of the way they refer to their avatars. The subjects get quite chummy with their virtual representations, right from the beginning, and they consistently refer to their avatars in the third person. Great concern is expressed over their avatar’s appearance (clothes, shoes, hair, jewelry as well as their size and shape). They consistently ask where the avatar “goes” after they quit the virtual world and express a desire to put her “in a safe place”. When they first navigate their avatar around the virtual space they’ll say things like, “Oh, no!! She went in the water and now she’s all wet!” or “I can’t get her to do what I want her to do.” or “I want to make her fly!”. They consistently refer to this virtual being they’ve just met in the third person – and that referencing continues throughout the eight-week intervention. The WIC team is still hard at work on this project, but stay tuned for the results. Another example is a project with family practice physicians, learning patient communication techniques in a virtual setting. In this case, the doctors, present as avatars, role play interactions with standardized patients (also avatars). The third person perspective here, I think, gives them a certain anonymity; a distance, while still being very present, that allows them to take greater risks. In a profession that demands consistently upheld expertise, it must indeed feel quite risky to be a beginner and make mistakes in front of your peers. I suspect that the third person perspective of the avatar offers them a safe remove to be a novice and allow for a natural, stumbling learning curve. I love the way this video captures the feeling of the workshop – the presence you feel from the avatars listening, the tentativeness of their attempts at role-play (and how hard that is), the sense of the physical space where the events took place, and the dynamism in the facilitator’s explanations of motivational interviewing technique. Considering the fact that this program ran for six hours in real time, you get a pretty darned good take on it in three minutes. Finding the most effective balance between direct instruction and discovery learning is a tricky business. We just finished the first group computer and Second Life training in our Women in Control study (Drs. John Wiecha and Milagros Rosal, Co-PIs), and I have to confess that, despite all of our careful planning and design, that particular fulcrum turned out to be pretty darned illusive. There were nine women in this first group (three more groups to come) – all of them with type 2 diabetes, new to computers, and definitely new to Second Life. Our job? 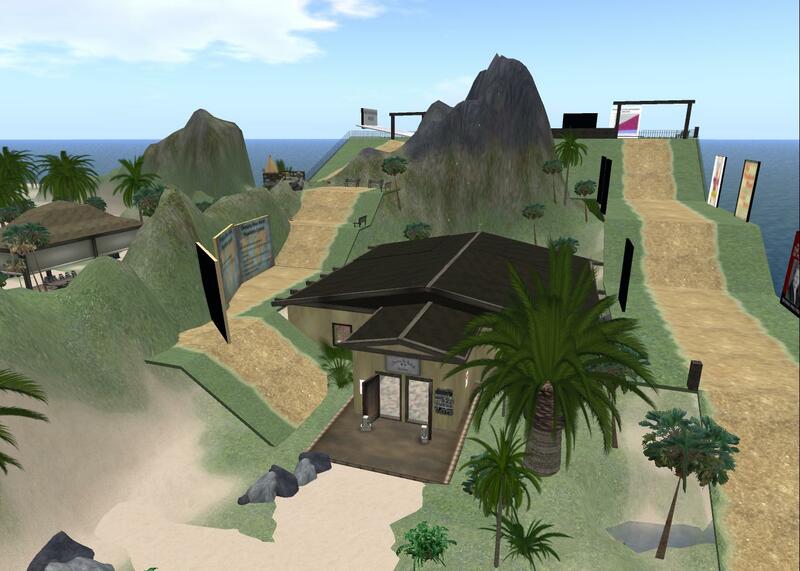 To get them up and running on their brand new laptops, and comfortable in the virtual world of Second Life. The challenge is made all the more daunting by the fact that the women in our study are not computer literate and most of them have a fourth-grade reading level. * A passive introduction to SL (project SL up onto a screen, dim the lights, and give them a basic tour) at the end of the first computer training really helped. “Just sit back and relax, you don’t have to do anything right now, just enjoy.” You could see them visibly relax after the tension of figuring out USB cable connections and learning the significance of new terms like “modem”, “space bar”, “application”, and “return key”. I kept the initial tour to just the basics – my avatar waved to them, walked around a bit, sat down, stood up, and then flew (“Oooohh!! !”) over the area that will be their new virtual “home”. * We break the training into two successive sessions – it’s too much to swallow all at once. Ideally, it would be three sessions. Almost everything our subjects are learning is completely new to them – it’s overwhelming. * Modeling the fabulous instructional comics made by my colleague, Liz Dorland, I created very simple tutorial comics (sample: Talk.WIC) that review the basics of talking, moving, and finding objects in inventory. I kept to one page per skill, used very simple language, and printed them out. These went over very well. Throughout the training sessions I could feel the constant push and pull of how much to instruct versus giving time and space to explore on their own. We think of didactic instruction as the most efficient method (pack it all in) for teaching complex information to a large group. In a budget-strapped grant such as ours, with a large population (100 subjects), time is of the essence. But we also know that exploration and discovery are keys to learning that sticks and a better overall experience for the learner. This idea is reinforced by a study, recently published in the journal Cognition, by Elizabeth Bonawitz (UC Berkeley) and Patrick Shafto (University of Louisville), where four and five-year olds visiting a museum were divided into four groups with four pedagogically different introductions to a novel toy. The toy had many “hidden” interactive elements in the toy (squeakers, musical panels, lights). Group 1 received a full-on demonstration. The experimenter with Group 2 pretended she was interrupted in the midst of her demonstration, suggesting that she didn’t finish demonstrating all that the toy could do. Group three’s demonstrator pretended that she’d discovered something the toy did by accident. And in Group four, the toy was simply given to the children with the comment, “Wow, see this toy? Look at this!” and then the demonstrator left the room. After the various introductions, the children were left with the toy and allowed to play. All of the interactions were videotaped and later analyzed. The results were crystal clear – the less direct instruction received, the longer the children played with and explored the toy. And it wasn’t just time spent on task, the fourth group (the group given less instruction) tried out more actions on the toy. In other words, direct instruction seemed to dampen the learners’ motivation for exploration and self discovery. 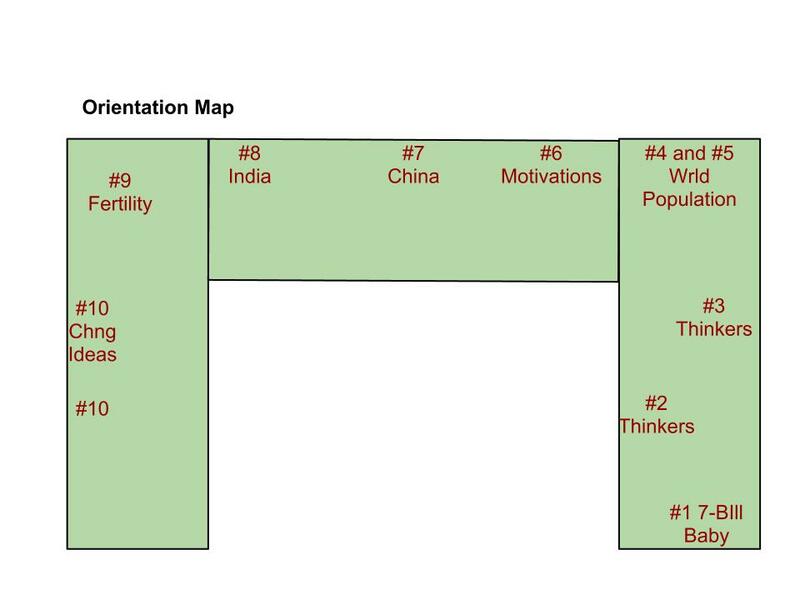 But how to balance that experimental truth against the fact that these adult learners have absolutely no context for this new world they are exploring? Their low literacy, limited experience with computers, and negligible understanding of the internet would cripple open exploration and only lead to frustration. For this program, we’ve settling on a hybrid model – a blend of direct instruction, followed by periods of exploration. What some refer to as guided inquiry. 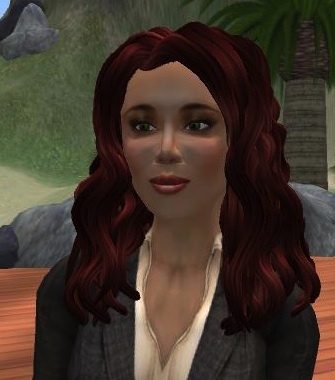 For example, we show them the gesture panel in Second Life, ask them to click on it, and then stop talking – indicating a gap in the “class” for exploration. We lead their avatars to an interactive dance floor, show them how to access the choser panel, and then stop talking – indicating another gap. The audio recordings of the training sessions reveal a rhythmic swell and lowering of sound, almost like a musical score, that trace the pattern of these “gaps”. The noise level gets loud and raucous during the exploration times then quietly hums during the direct instruction times. I’m coming around to understand that the chaotic noise level is, in part, a measure of success. But it is omportant to recognize that these learners (and most of us, for that matter) need both. They need context, shape, and guidance — and they need to explore and follow what interests them. Designing sessions this way involves mental adjustments on the part of the instructors. For example, we must get used to a reduced emphasis on “covering the content”. One has to let go of anxiety over topics left out or diminishing time to “get to” key concepts. We are learning to measure success by the learners’ enthusiasm for the experience. If they end the session feeling like it was fun, that this virtual world was intriguing and they wanted to get in there again to play around, then the training session was a success. But that doesn’t mean that we don’t have a plan for the skills they must master in order to be succesful. Fortunately, we’ve built into the instructional design later opportunities for the learners to scoop up specific skills missed in front end training, if needed. I have to say that my favorite moment of the training was when they first logged into SL and saw their avatar rez in front of them. “Ooooh! There she is!” These moments, when their delight and fascination over this completely foreign world, are contagious.